Facilitated offers bespoke learning and development opportunities on a range of topics in a range of formats. 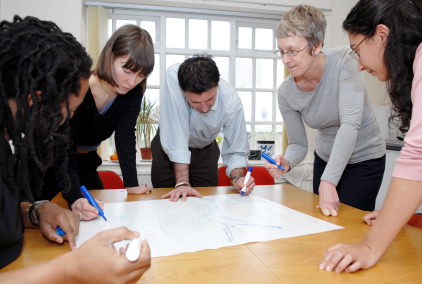 We begin with your learning objectives and design the perfect session for you. Sessions are thoroughly researched, informative and enjoyable. Sessions can be 1:1 coaching, workshops, short courses, qualification programmes or conferences. All sessions are combined with on-going support. We are happy to tender for work if this is a requirement in your sector.